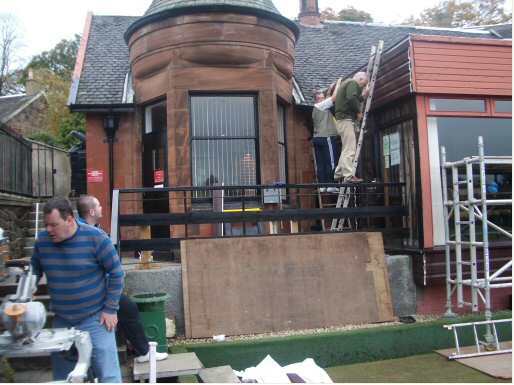 House Committee Alex Hardie & Derek McCutcheon have been down working at the club everyday preparing for our opening day April 2007. 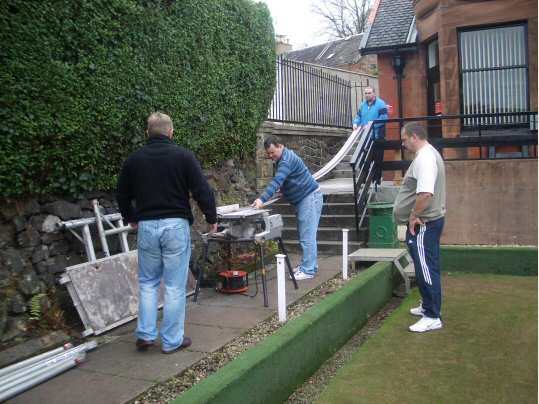 Painting, slabs re-pointed, broken steps repaired, new handrails fitted... the list is endless. 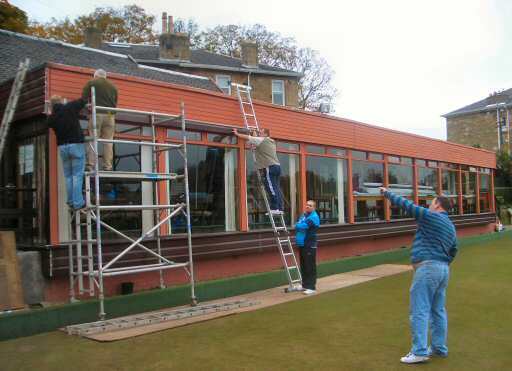 These Directors are tireless in their efforts to refurbish our clubhouse and grounds. 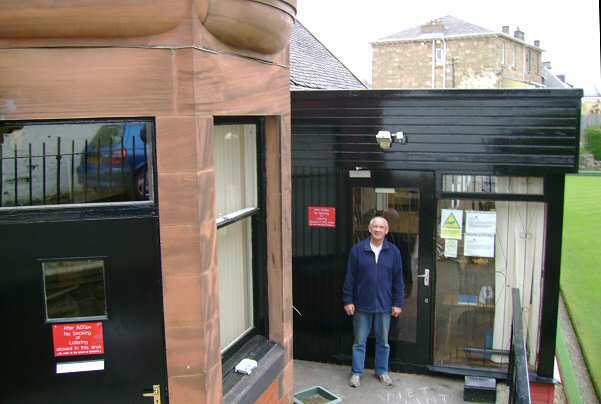 Director Derek McCutcheon painted the side facia, doors and windows. 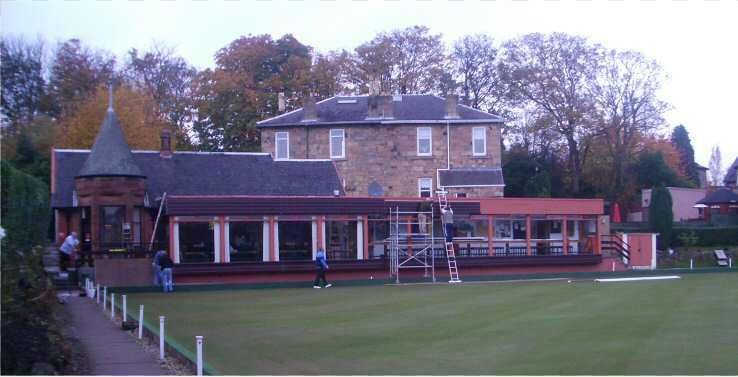 In November 2007 the clubhouse facia was given a major refurbishment. 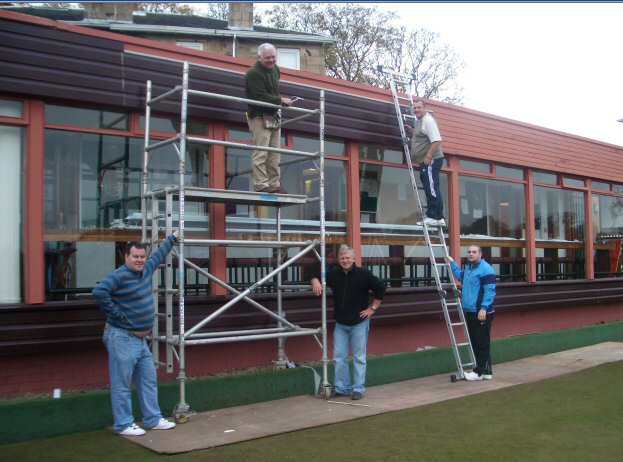 Richie McInall jun, Sandy McKean & John McKillop applied the cladding to our clubhouse. New cladding and sills fitted, scaffolding is used to reach the above the windows. Take a bow lads ! John, Jim, Sandy, Richie sen & Richie jun. These members are giving their time and expertise at no cost to the club.